While Marvel's first solo female superhero movie is a big deal to most, the project is important to Brie Larson for reasons other than the film's novelty, according to Comic Book. 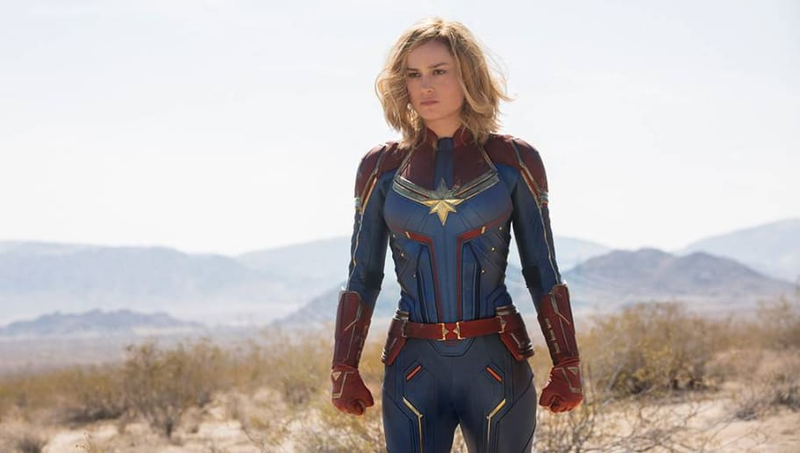 In Captain Marvel, the 29-year-old actress will play Carol Danvers, a powerful superhero who fights to save the Earth when it gets caught in the middle of a galactic war between two alien races. Surprise! And if you want to see the brand new #CaptainMarvel trailer tune into @ESPN’s Monday Night Football. Hope you’re able to get some sleep tonight ? Many fans have been comparing the upcoming film to the wildly successful Black Panther, which is centered around Marvel’s first solo black superhero and features a predominantly black cast. The film was celebrated in pop culture for its diversity, but Larson said that she’s not looking for that kind of attention. I’ll just leave this here ? In terms of comparisons to other Marvel movies, Larson expresses that she wants the film to be held up to the standards that have been set by those who have come before her. 100 days. Marvel Studios' #CaptainMarvel is in theaters March 8, 2019. Captain Marvel, hitting theaters on March 8, 2018, explores a previously unseen period of history in the Marvel Cinematic Universe: the 1990s.